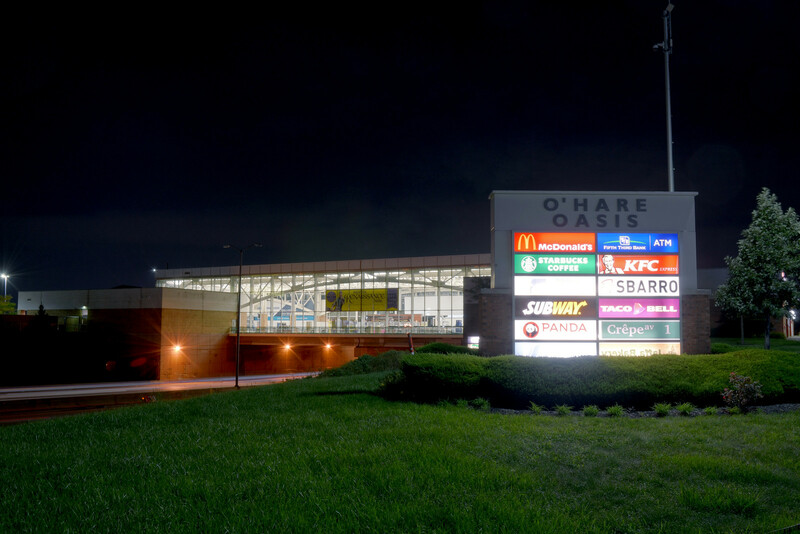 Today is the final day of business at the O’Hare Travel Oasis in Schiller Park – perched atop one of the five original Illinois Tollway Oasis rest areas that date back to 1959. Standard Oil of Indiana (later Amoco) built these rest areas on land leased from the Tollway – four on the Tri-State (I-94/294), and one on I-90. They featured service stations on both sides, and an enclosed bridge spanning the highway that housed a Fred Harvey restaurant and gift shop. Howard Johnson took over and renovated the restaurants in 1975; nine years later they were all converted to suit various fast food eateries – O’Hare becoming a Burger King, Hindsale becoming Wendy’s, etc. In 2003 the original structures were all torn down to the flat bridge span, and reconstructed as modern, open-air glass food courts with new Mobil gas stations – at a cost of $95-million. The new structures were more visible to motorists and gave visitors better views of the highway. Barely a decade later, however: continued suburban development in the Chicagoland area has necessitated further improvements to the Tollway — I.E., widening, now endangering these unique rest areas. 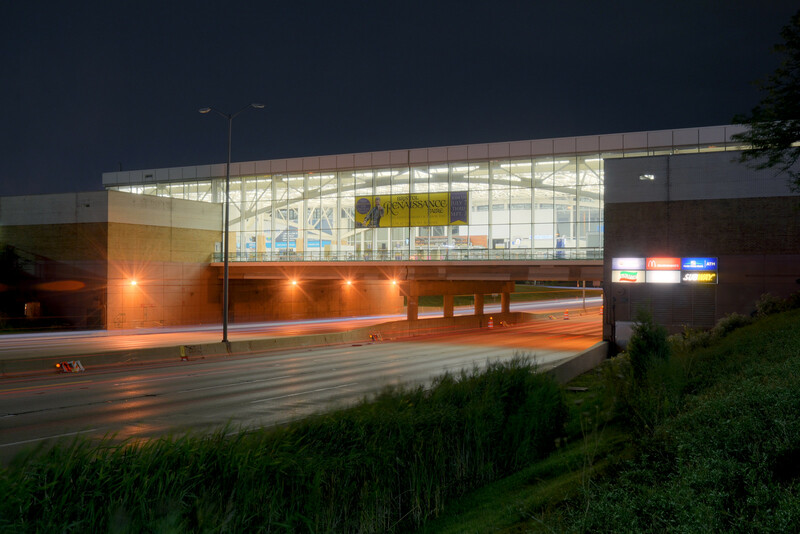 The bridge span of the Des Plaines Oasis (famously firebombed by a vengeful Carrie Fisher in the 1980 cult-favorite, The Blues Brothers) met its end in 2014 to accommodate the widening of I-90 – leaving only the service stations in operation; and today the O’Hare Oasis (itself seeing screen time in 1981’s Thief) will close at midnight and fall to a similar fate, with additional lanes to be added on both sides of the Tri-State. A recent Daily Herald article further indicates the Hinsdale Oasis, to the southeast, is slated to be next in line – bringing the future of the remaining three bridges at Lake Forest, Belvidere and near South Holland into question.